This is the first of the nut fudges produced by Potash Farm. It makes an ideal gift for Valentine’s day, Mothering Sunday, Easter or at Christmas, available in a 200g bag. "Farm Fudge Looking pleasingly rustic and homemade, fudge stuffed with Kentish Cobnuts from Potash Farm"
"The buttery confection is studded with chunks of cobnuts handpicked from the farm - a match made in heaven." "Made with toasted Cobnuts from the estate's 1,000 trees - many of which are 100 years old - it's smooth and rich." 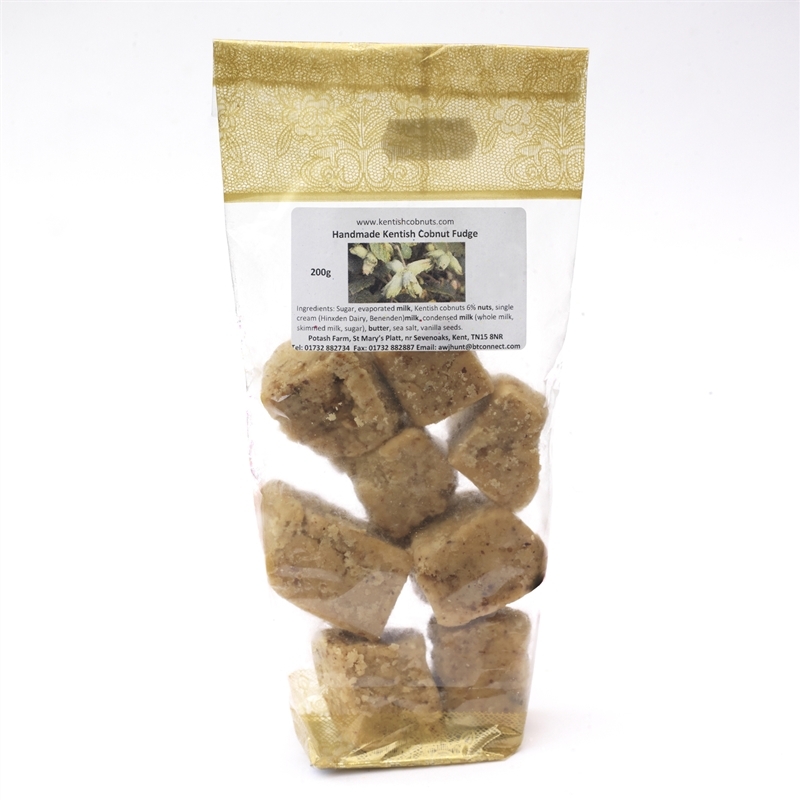 "If you have a sweet tooth, Potash Farm Cobnut Fudge is truly one of the best we've tried. Exceptionally creamy and divinely decadent, it's studded with Cobnuts harvested from a century-old plantation, lovingly toasted and stirred into a fudge made with single cream from a nearby dairy." Also featured in the Daily Telegraph Magazine and the Daily Mail Weekend.